An Enduring Legacy – Carnegie Mellon University. 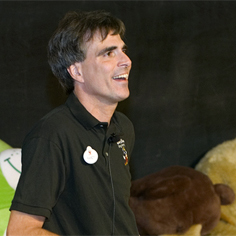 Better words have already been written about the passing of Randy Pausch than I could hope to attempt here. This short post is simply a nod to a great man who promoted great ideas. I have been meaning to write about Alice here on OSED.org and was saddened to hear this news while attending Scratch@MIT last week. His contributions to learning and the promotion of Alice will be greatly missed.